Physical therapy clinics are not the easiest clinics to run, and the sheer amount of paperwork can leave even the most efficient managers disorganized. As a result, PT clinics often suffer from inefficiency leading to reduced profits and discontented patient care. However, with the right physical therapy software, PT clinics can bring an end to hundreds of manila folders holding countless notes of patient information. Physical therapy software seeks to transport all patient information in real time with the click of a button, or the touch of a screen, creating a more accurate, productive, and efficient healthcare operations at a lower cost. 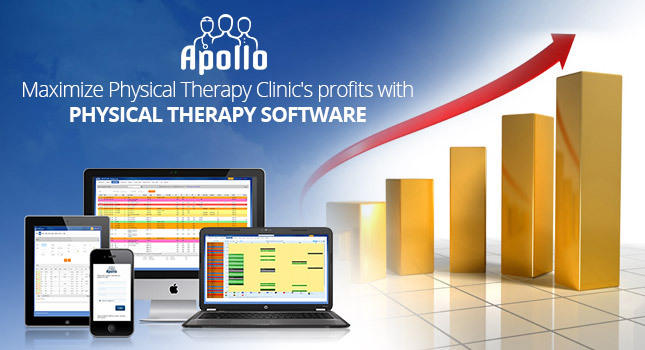 How physical therapy software adds value to your clinic? The physical therapy software helps PTs to do what they do best – taking care of their patients. With easier scheduling of patient appointments, timely reminder and alerts, automatic report generation, easy access to all patient records, automated billing, and more, it helps to enhance productivity, and eventually your profits. The most common problem faced by practitioners today is managing the colossal amount of patient information. One of the most important benefits of this software is that all patient’s records are contained in a digital format, giving you access to information in a simple, relevant platform. This means enhanced consistency and accuracy, and more time for actual patient care. A physical therapy software program puts you in a complete control for all your billing requirements. It helps eliminate the high cost of traditional medical billing processes, helping you maximize profits. Right from insurance claims and private bills, to bulk billing and employee payments, it can help to seamlessly create and dispatch bills directly to your patients. It helps to minimize confusion, increase reliability, and decrease financial losses. The reduced costs associated with a physical therapy software has the potential to your save your clinic thousands of dollars. Electronic medical records lead to lesser waste and eliminate the inefficiency of manual and paper-based systems. Physical therapy software programs help you optimize real-time information to track business growth and facilitate a quick decision regarding the operations of your practice. With easy access and integration of reports, it helps to streamline and fulfil any strategy. Additionally, a physical therapy software program helps you reduce the use of paper in your day to day operations and supports eco-friendly practice. If your physical therapy clinic doesn’t have the advantage of a proven physical therapy software, it isn’t maximizing profits for you or your employees. Explore the options at Apollo Practice Management to maximize your profits in the future.